At some point in their progress most, if not all, mining projects will require 3D surveys of the terrain, mining site, and surrounding landscape. Some providers argue that LiDAR technology is the best way to generate the 3D Digital Evaluation Model that is the result of a 3D survey. However, that may not always be the case. Let’s start with definitions – Light Detection and Radar (LiDAR) is a form of 3D scanning using a laser range finder. A LiDAR sensor sends out thousands of laser rays per second in a scanning pattern, rapidly sampling large distances through its arc of movement. Combining extremely accurate distance measurements from the laser rangefinder with very accurate measurements of both the scanner’s position and also the angular direction the laser is pointing at any given moment, dense, highly accurate data is generated. While terrestrial LiDAR is a well-established technology used to measure landscapes and infrastructure on the ground, aerial LiDAR involves using the similar scanning technology in the air, either on a Manned Aerial Vehicle or an Unmanned Aerial Vehicle (otherwise known as a drone). Aerial LiDAR technology has the benefit of scanning large areas from a broad overhead view. The result is a 3D point cloud data of sampling positions that needs to be interpreted and turned into a 3D model by an expert. The disadvantages? Professional LiDAR sensors are expensive to purchase, hire, and operate and the technology is rapidly changing, making them a costly investment. Also, accuracy is a concern – while LiDAR technology is accurate in terms of distance measuring, this ability is reliant on sometimes-inaccurate positive and angular measurements. This is because, from an aerial perspective, it is not precisely clear where the laser is pointing. LIDAR works by scanning through a scene over a distance (versus taking a complete ‘snapshot’ of the scene at a given moment), so any discrepancy in its movement during the scan can distort the resulting data. An alternative to LiDAR scanning is photogrammetry (as achieved by the use of drones). This is the process of generating accurate maps and models from photographic imagery. Combined with recent advancements in software and computing resources, photogrammetry has resulted in more accurate and accessible aerial imagery from drones. This is due to the generation of a complete record of everything within the frame of the photo, removing the need for positional sensor information. For large areas, where multiple images are required, accuracy is maintained with a high degree of image overlap and numerous ground control points. The collected data is highly accurate, only truly limited in the case of dense vegetation (which can be more easily read by LiDAR technology). The result? 3D models that are more accurate than aerial LiDAR data in full colour, making them more easily visualised and interpreted. While LiDAR technology has its place in surveying projects, drone surveying is a faster, more accurate, and cost-effective process with fewer disadvantages. Need help conducting an aerial survey? 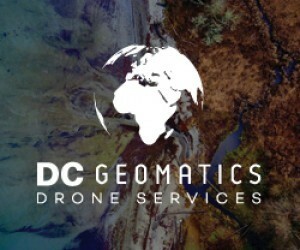 We offer total aerial surveying services (including aerial LiDAR and hyperspectral technology surveying services) to the mining sector in South Africa as well as across the continent of Africa, including Zambia, Angola, Namibia, and Tanzania. Our team of experienced surveyors are equipped to generate extremely accurate surveys and maps for all our clients, reducing risk and saving on cost. CTA – For an aerial survey suited to your project, contact us or read more about our offerings in our company brochure. Social Media blurb – LiDAR or drone technology – do you know which is best for your project?